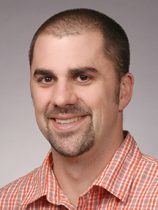 The School of Medicine has announced that Robert Riss, M.D., associate professor of pediatrics and pediatric hospitalist at Children’s Mercy Kansas City, will serve as the next assistant dean for career advising. In his new role at the School of Medicine, Riss will be responsible for oversight of all career advising services. Riss is an associate director of medical student education and director of curriculum for the highly regarded pediatric clerkship at Children’s Mercy. His leadership in revising the pediatric clerkship curriculum using a scholarly approach and innovative facilitation of technology is cited as a reason for improved performance of students taking their NBME exams. He has served on many leadership committees at UMKC and Childrens’ Mercy and currently serves as co-chair of the Medical Student Education Special Interest Group with the Academic Pediatric Association. He is also a faculty member of the association after recently completing the organization’s Educational Scholars Program. Riss has received many awards for teaching and leadership including UMKC’s Elmer F. Pierson Good Teaching Award, as well as the Children’s Mercy Gold Apple Mercy Mentor Award and a faculty award for outstanding teaching support of student medical education. He currently participates in educational research focusing on curriculum design, evaluation and implementation utilizing technology. He is an educational consultant on the NIH grant: SPeCTRE: The Sunflower Pediatric Clinical Trials Research Extension in which he is charged with designing a curriculum for primary care physicians to increase the research capacity for pediatrics in the state of Kansas. Riss received his medical degree from the University of Kansas School of Medicine and completed his postdoctoral training as a pediatrics resident at Children’s Mercy Kansas City.